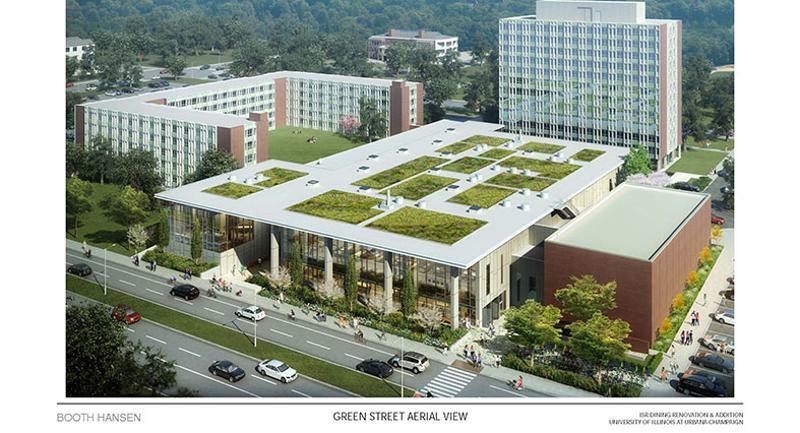 The University of Illinois is currently renovating its Illinois Street Residence Hall (ISR), an endeavor includes replacing the building’s old dining hall with an airy, modern one. 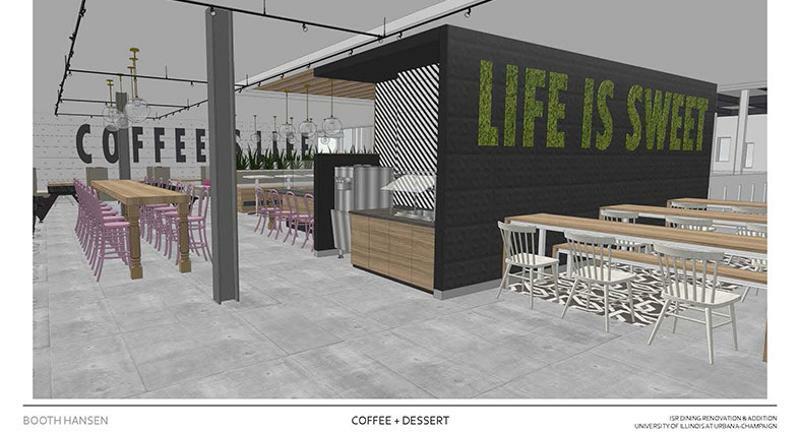 The new eatery, which is slated to be complete in 2020, will be home to 11 stations and micro-restaurants. Read on for an inside look at those concepts, which have yet to be named. 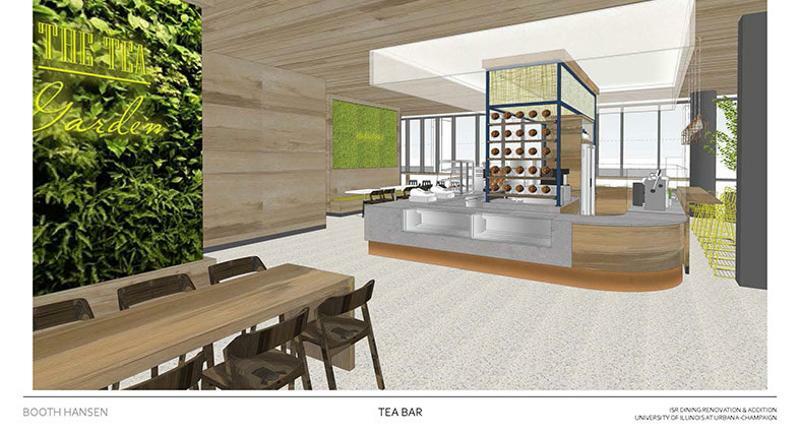 Located on the lower garden level, the tea bar will offer a space for students to study and relax with friends while enjoying beverages and grab-and go fare such as pastries and sandwiches. While coffee will still be available, the focus of the bar will be tea to better reflect the universities’ international population. The tea will be brewed using a device called RAIN (Reverse Atmospheric Infusion), which uses vacuum pressure to create highly infused tea. One feature of the device is the brewer-facing screen, which can be programed to show facts about the tea blend. This will give employees the knowledge they need to communicate with customers about the tea they are drinking, such as what the flavor profiles are and where it is grown. 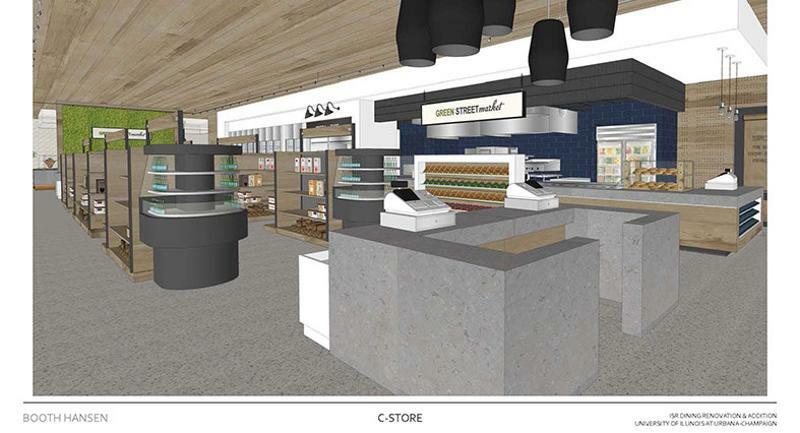 Adjacent to the tea bar will be the c-store, which will have extended hours and offer an assortment of fresh produce and grab-and-go fare made fresh in the space’s small kitchen. 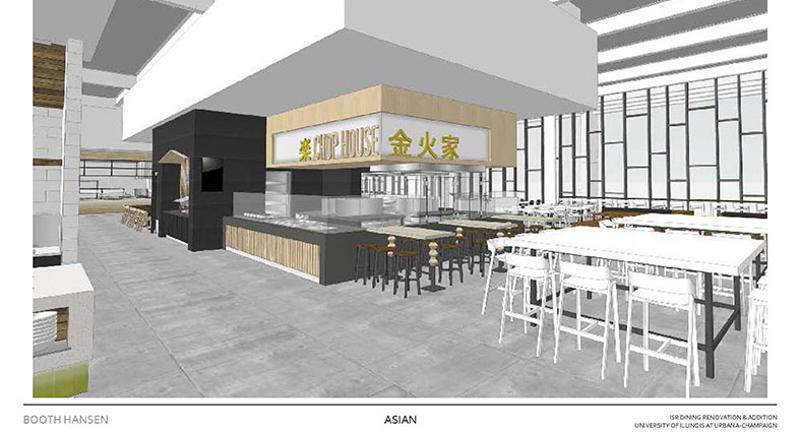 Instead of creating one micro-restaurant dedicated to cuisine from all over the world, the team decided to create a standalone Asian restaurant to better reflect students’ needs. This station will contain a robata grill to offer a fun visual component for students, and it will serve dishes such as chicken yakitori. 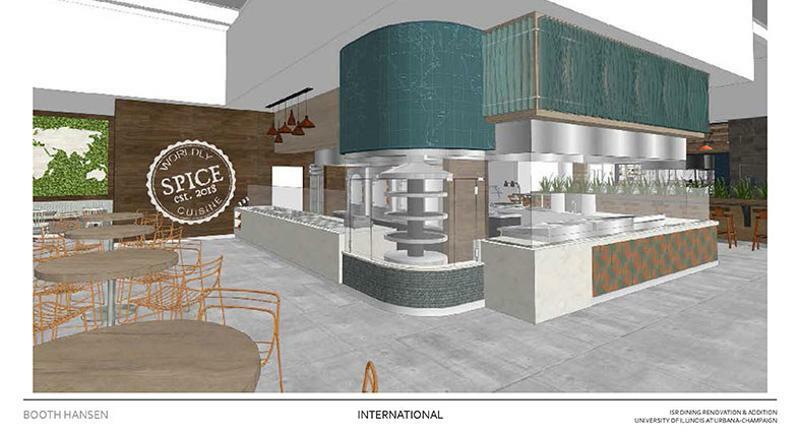 One of the goals of this restaurant is to serve meals that many of the school’s international student population will recognize from home, Henning says. “This is [students’] home away from home. We want them to be comfortable and we want them to be happy,” he says. 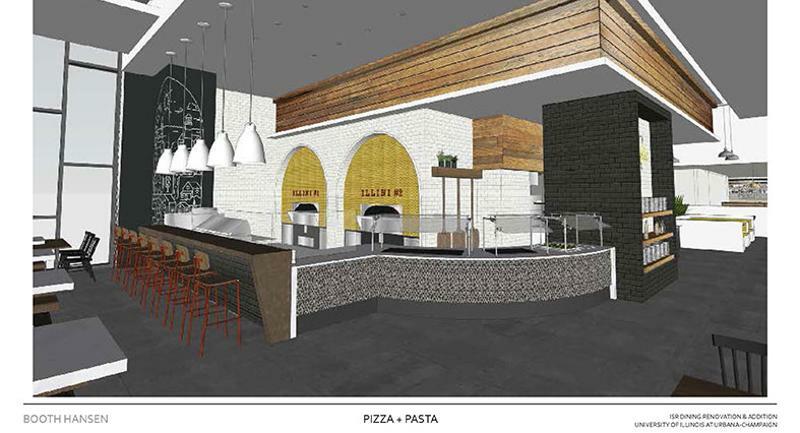 The school’s sustainability efforts will be on full display at the pizza and pasta micro-restaurant where students will be able to grab made-to-order pies, Henning says. Each pizza will be made with fresh dough using wheat that was grown at the student farm and milled on campus, and topped with a tomato sauce made with the farm’s own tomatoes. Students on the run will also be able to grab a slice from precooked pizzas. International dishes found outside Asia will be the focus here. 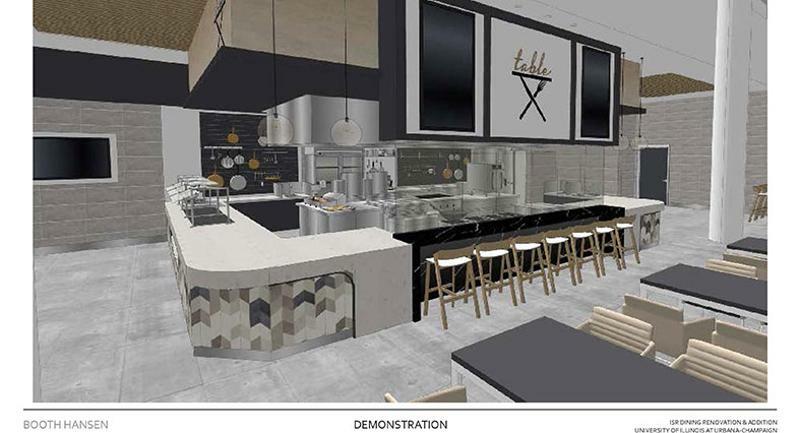 Mediterranean and Latin cuisines will be spotlighted, as the equipment featured in the station will include a tortilla maker, vertical rotisseries and a vertical gyro broiler, Henning says. Many of the dishes at this micro-restaurant will be centered around an anti-griddle, which will be used to make Thai rolled ice cream. “We have pastry chefs that have experimented with that piece of equipment and have already come up with some recipes ideas,” Henning says. One of the ingredients chefs have been playing around with for this station is the Autumn Berry, which is an invasive species located throughout the state. 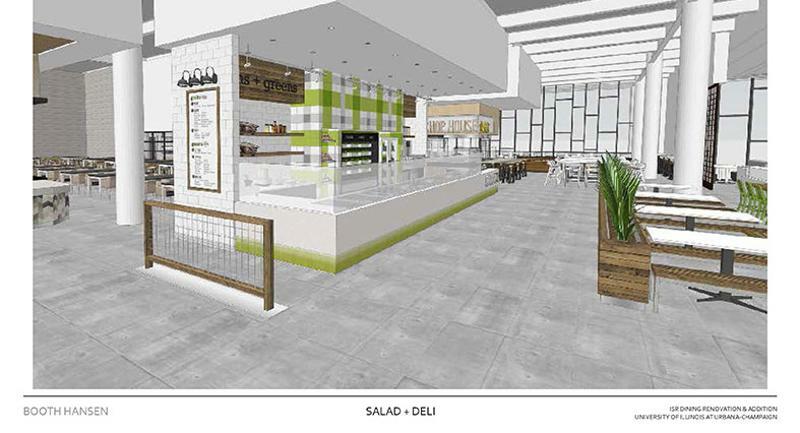 The ability for employees to maintain a quick speed of service was the focus when designing this station, which will serve items such as sandwiches, soup, salads and grain bowls. “We want there to be [more] serving of the customer rather than the customer serving themselves,” Henning says. The team designed the space to allow students to serve themselves if things ever get too crowded, he says. The design also includes some permanent self-serve elements such as a soup section separate from the main line to help avoid congestion. To move orders along, visual cues will be placed where patrons line up to show them how to customize their meals. “By the time they get to the point of service, they’re pretty much ready to go,” Henning says. 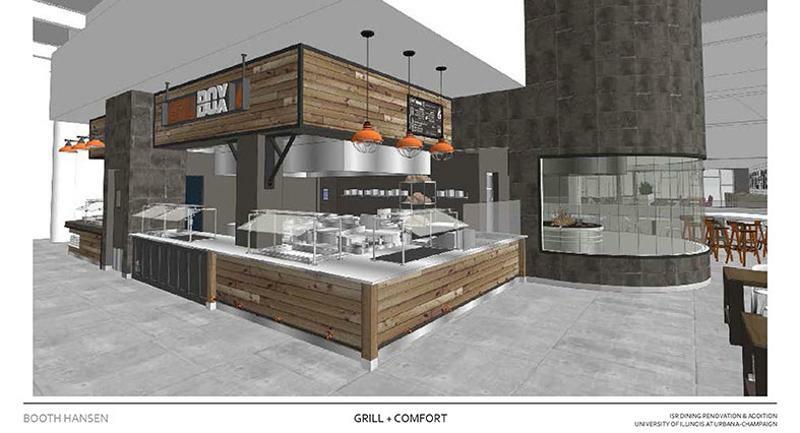 American comfort food will be served at this station, which will feature equipment such as a grill and a smoker. 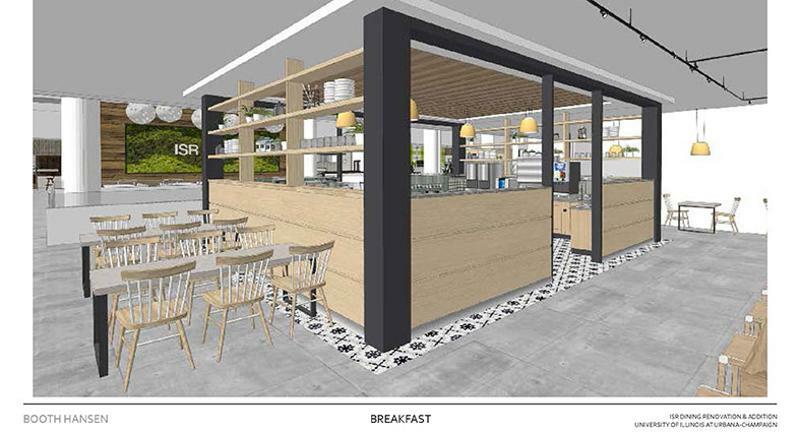 While plant-based offerings will be worked into the menu at the other micro-restaurants, Henning says they wanted to create a separate vegan section at the grill. Those looking for plant-based meals will be able to find dishes that include smoked and grilled vegetables. The grill will also serve breakfast items in the morning. 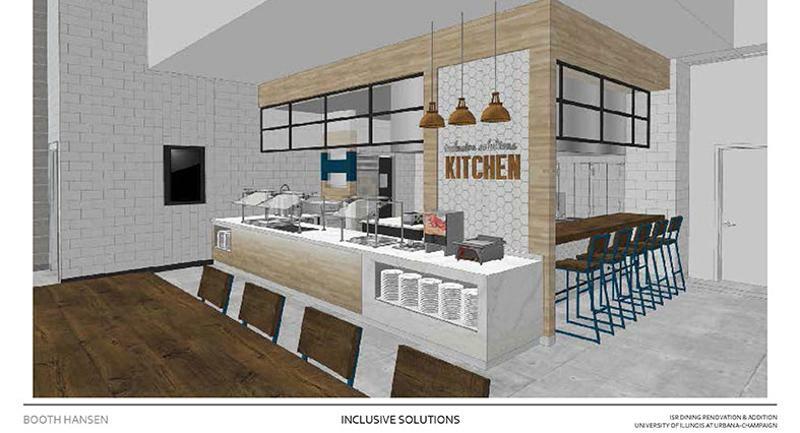 This completely self-serve concept will provide ongoing breakfast service for students.“The idea is that we’d have all of our continental breakfast items—our cereals, our juice—available throughout the day,” Henning says.